Blue Jays are pretty native North American birds. 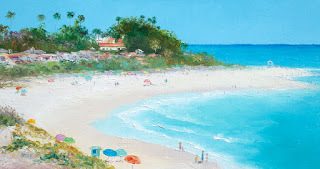 This is an impressionist seascape painting of San Clemente Beach. San Clemente is in Orange County, California. San Clemente is very popular for its beautiful beach, mild climate, white sandy beaches, mountain views, water sports and surfing. 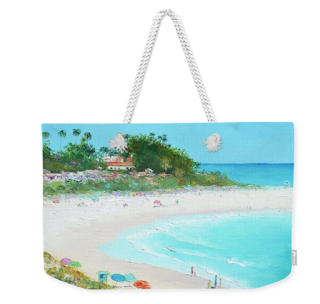 Beach prints are available as canvas wall art, framed prints, acrylic prints and metal prints. 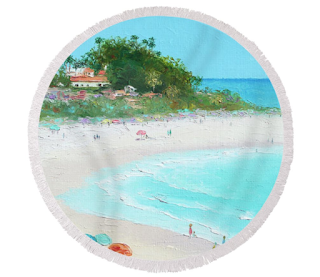 Also matching beach towels, throw pillows, phone cases, mugs, greeting cards and other products. 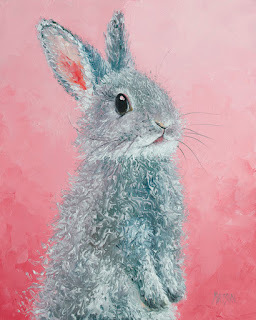 A pretty grey Easter Bunny printA pretty grey Easter Bunny print for a child's room or nursery decor. Also available as tote bags, throw pillows, duvet cover, phone cases etc. 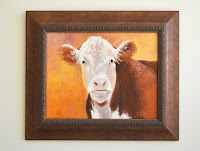 A Hereford Cow oil painting complete with a burnished copper wooden frame. 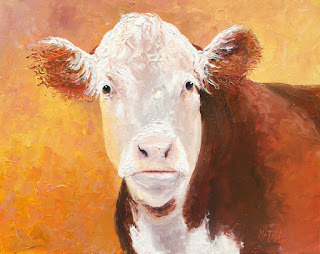 This cow painting measures 48.5cm x 41cm and is ready to hang with d rings and wire. A great painting for the kitchen wall, country home or cattle farm!